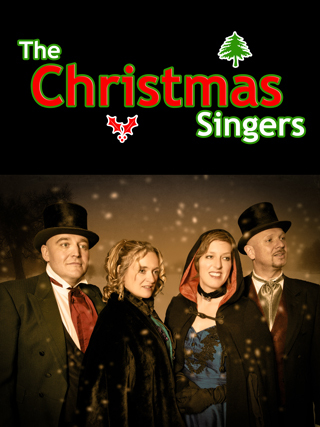 The Christmas Singers are a quartet of highly experienced and professional vocalists. They have performed at the highest level in opera (The Royal Opera, English National Opera, Glyndebourne, Opera North) and The West End, and present a repertoire of traditional Christmas carols and seasonal classics programmed to meet individual requirements. The Christmas Singers can help create the perfect festive atmosphere for your occasion. Whether it be a corporate event, Christmas shopping extravaganza or a family party, we can provide Christmas entertainment of any length. Our emphasis is on quality, musical excellence and of course Christmas cheer! Email your Yuletide requests to Santa today to avoid disappointment!